This is the adorable Medium Bashful Lamb, he is a 31cm soft toy made by the popular London based manufacturer - Jellycat. 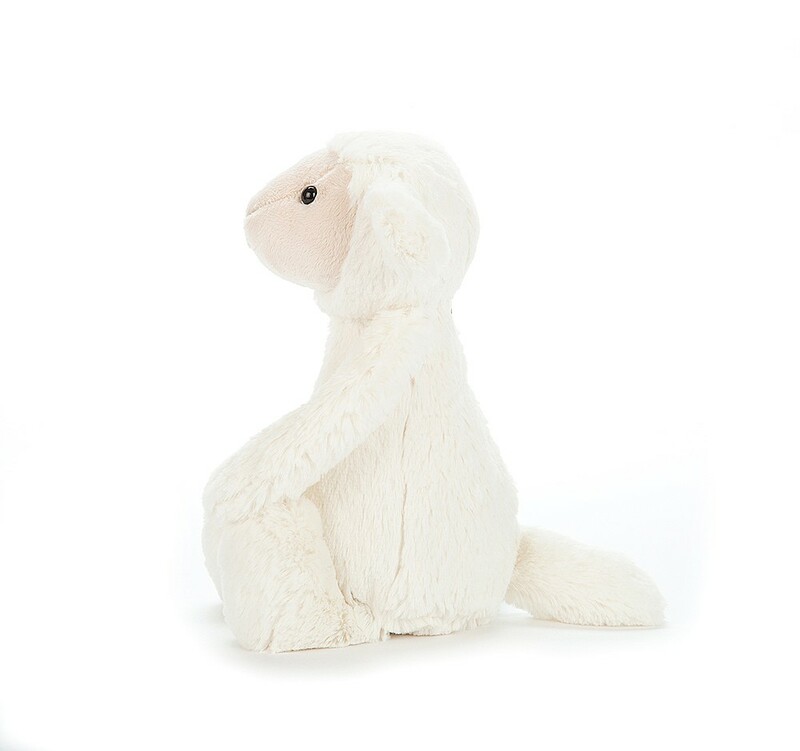 He has been made using a super soft cream plush, his shiny black safety eyes twinkle above his embroidered nose. He is partly filled with beans giving him a lovely weight and cuddly feel. Made using all new materials, filled with polyester fibres and plastic pellets. Surface washable. 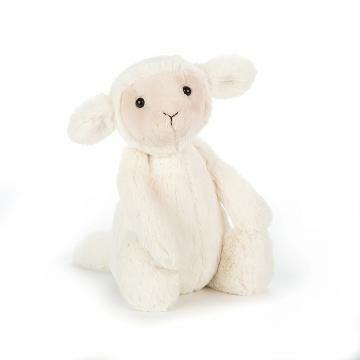 Feedback for Jellycat BAS3LUS Bashful Lamb Medium with Organza Pull String Bag has been compiled from 1 reviews. Only downside is that bashful lamb is no longer available, this is closest equivalent.